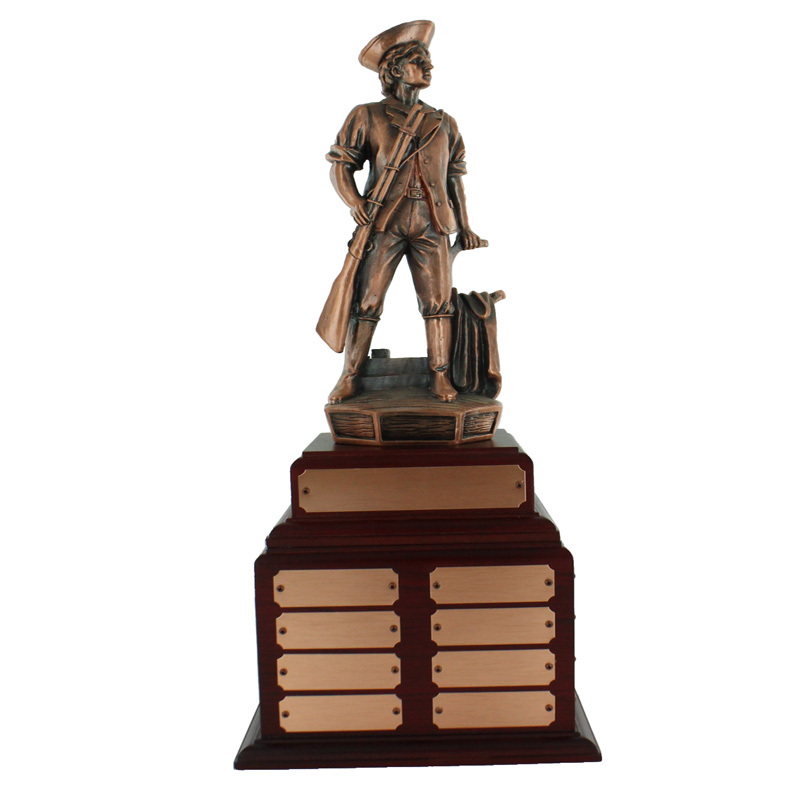 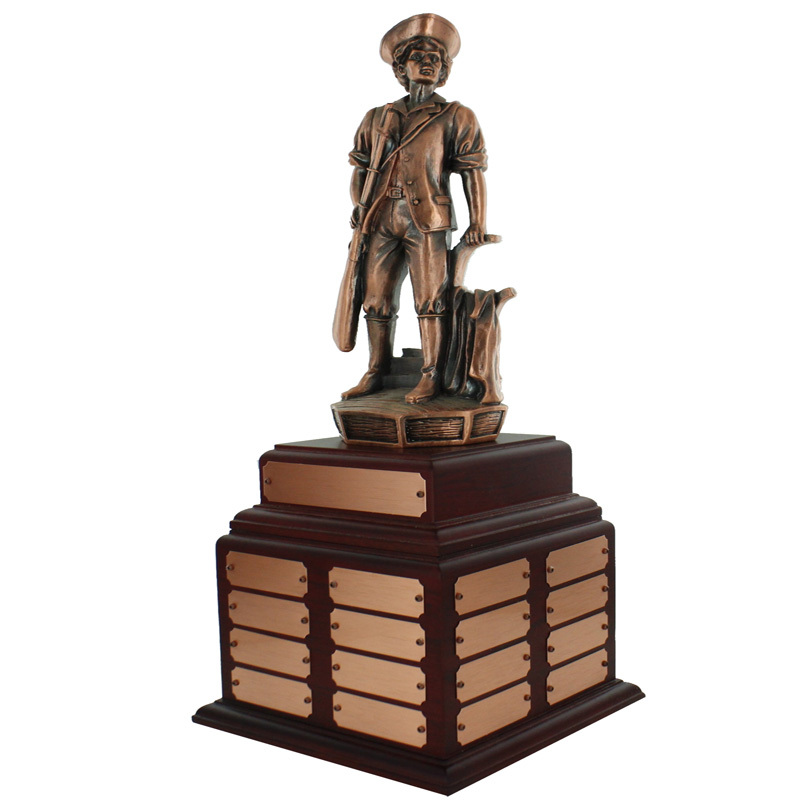 Item Description: 14 inch Minuteman bronze perpetual trophy on a rosewood base with 1 header plate and 32 small name plates. Header plate size: 3-1/2 inch x 1 inch. 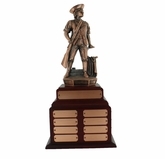 Name plate size: 2-1/2 inch x 3/4 inch.